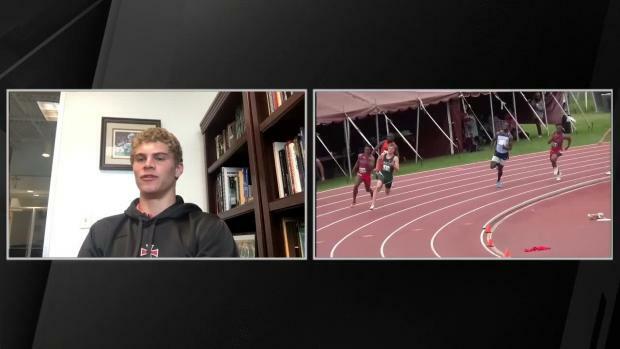 Matthew Boling Is The Best Athlete In Track And Field! If you keep up with high school track and field and haven't heard of Matthew Boling, it's probably because you've been living under a rock. 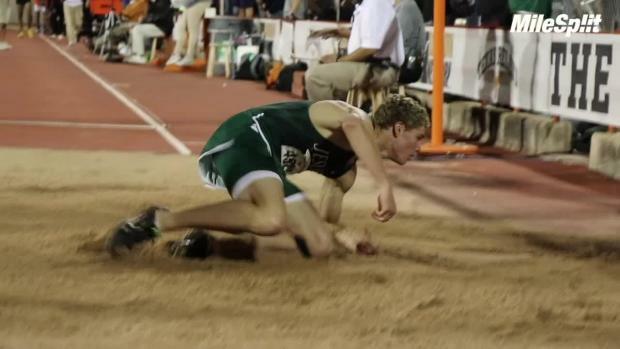 A senior from Houston Strake Jesuit, Boling has been redefining the definition of "athletic" with his amazing skills and unbelievable potential. 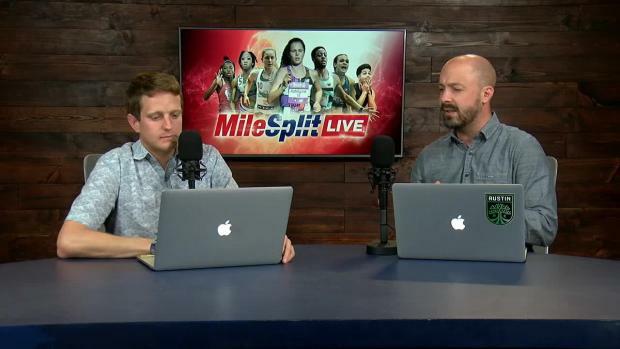 Last season, we asked the question, if Boling was the best athlete in high school track and field? Well, in the fall, he signed a National Letter of Interest (NLOI) with the University of Georgia, which is currently one of the best collegiate teams in producing top multi event athletes in track and field. Then he proceeded to perform as he has these first couple of weeks in the 2019 track and field season. 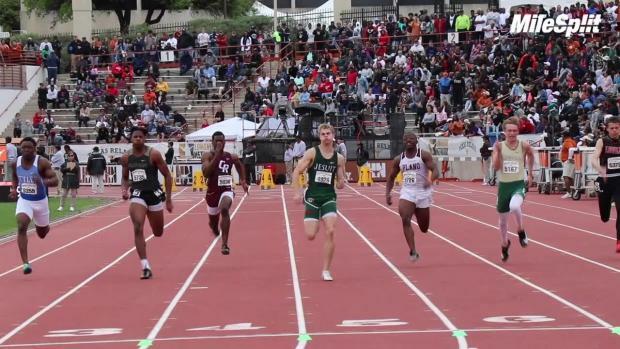 RELATED: Is Matthew Boling The Best Athlete In Texas Track And Field? In his first few meets as a freshman, he performed very respectably, running under 54 seconds in the 400 meter dash and jumping 19 feet in the long jump. By the end of his freshman year, he was running 50 point and jumping over 22 feet. From there, his performances have only skyrocketed, and he has never really looked back. 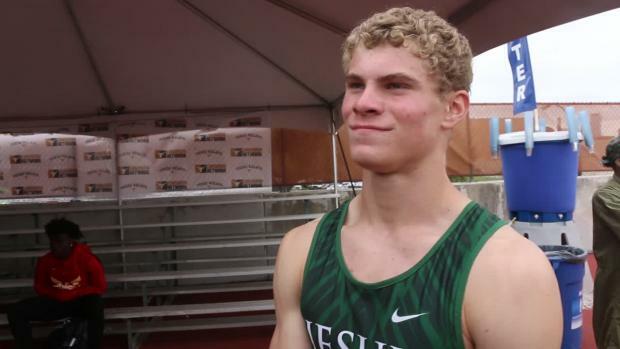 He has managed to jump 6'7" in high jump, 25' 0.5 in long jump (U.S. #1 thus far this season), run 21.20 seconds for 200m, 46.15 for 400m, and even has helped Strake Jesuit's 4x100m and 4x400m teams to run 41.08 and 3:14 this season as well. Most, if not all, high school kids would DREAM of having as successful of a career as his. This weekend, however, Boling was a man on a mission. What exactly that mission was, we may only be able to guess. The one thing of which we can be certain, however, is that he is the #1 sprinter and T&F athlete in the nation at this time, and he is here to stay. 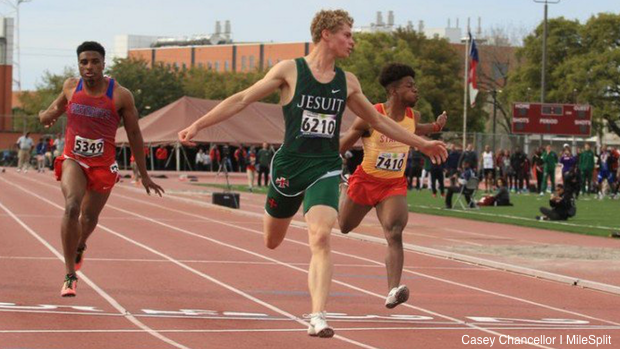 This Friday, March 15th, he ran a wind legal 10.28 in the 100m prelims for a U.S. #1 and also helped Strake Jesuit's 4x100m team to run 41.71. But he wasn't done there. Saturday had yet to come. As he got into his blocks for the 200m this morning, the crowd grew silent. When the gun went off, all you could see was a blur, quickly making up every stagger around the curve. He bolted to a clear victory and stunned the competition, crowd, state, and nation with a 20.58 for ANOTHER U.S. #1 (if you haven't been counting, that's 3). ....Wait, you thought we were done? Didn't you read about his 100m performance?? 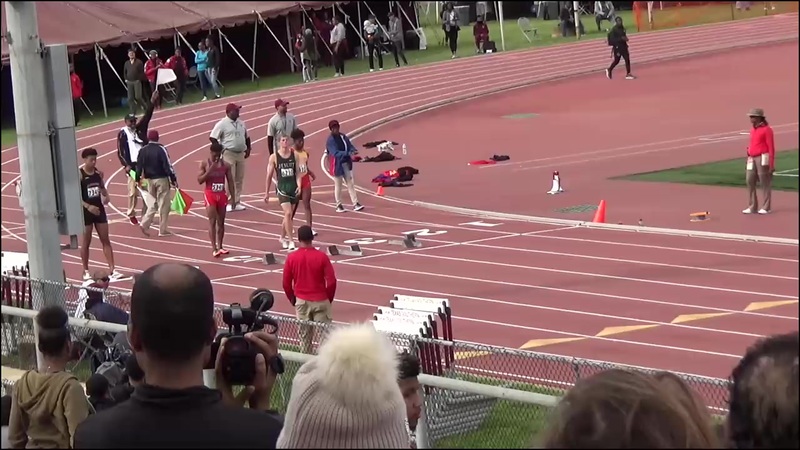 He ran 10.28 in prelims, so it was only natural that he lined back up for the finals Saturday afternoon. I'll save you the drama and send you straight into shock. After all the events he ran this weekend, he (quite literally) ran it back one more time to run a wind legal 10.22 in the 100m, giving his former U.S. #1 time slightly over 24 hours to reign on top before doing the improbable, dare I say impossible, once again. Matthew Boling is quickly transcending elite high school athlete status. If Houston Strake Jesuit wanted him to simply contribute to the team, he has gone above and beyond the call of duty, and is no longer what you would call "a typical high school athlete." Honestly, he isn't really on par with college sprinters right now: he's running better. In fact, 10.22 is so impressive, it is currently the 5TH FASTEST 100M IN THE WORLD. This man can't be stopped, and so, if you haven't gotten on board the bandwagon of success, I would suggest doing so now, because the future for him looks brighter than a pair of brand new neon colored Nike's.